I use mostly organic and natural skincare products, and among them are Human Nature Natural Skincare products. Based on comments by other people, and especially my mother (whose words I absolutely believe), my skin is generally fine. However, as a woman who has hit the fabulous 40, I aspire to delay the signs of aging (and they are making their appearance rather faster these last few years), while enjoying natural skin care products whenever possible. My skin was so oily during those days that it’s a mystery I rarely suffered breakouts. I also seldom encountered adverse reaction with skin care products, but last year I did. My beauty regiment yo-yo over the years, and I don’t stick to one product for long. However, there are a few skin care products that my skin and I really, really love. Gosh….there are at least thousands of natural skin care products out there, how did I come across Human Nature Overnight Elixir? 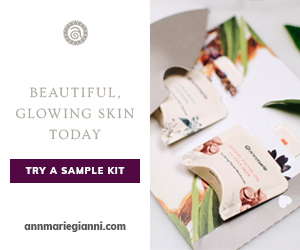 It all started with Beauty Box samples, in this case the one that I wrote about a while back, from Bag of Love. Thanks to Bag of Love, I was introduced to the absolutely divine Overnight Elixir, and I stayed loyal to it from then on. Elemi (pili) oil, Lavender essential oil, Naturally-derived triglycerides, Passionfruit seed oil (Passiflora edulis), Rosehip oil, Rosemary extract, Soybean oil, Sunflower oil, Tocopherol (natural Vitamin E), Organic avocado oil, Rosemary essential oil. Since my skin is combination, I don’t use more than 3 drops of the Elixir daily, with only a tiny bit on my T-Zone. One thing for sure, it has helped me address the skin conditions that I had faced early last year – dryness and flakiness on my cheeks. My nightly routine is to lightly pat HN Overnight Elixir around my eye areas and gently massage on my face. I do this every night without fail since last year, with no adverse effects. And the best thing is, my hands have also benefited from the Elixir as I spread the residue of the liquid all over my hands before I apply my hand cream. Unfortunately, I think my current day time skin care products do not work quite as well to protect and nourish my skin. Hence, my quest for a new skin care regiment that would complement my dear Elixir. Naturally, I look to Human Nature. Human Nature (HN) is a social enterprise based in the Philippines. It started with Tony Meloto’s dream to end poverty among farmers in developing country by using their crops. He founded Gawad Kalinga, a Philippine-based poverty alleviation and nation-building movement. From there on, the dream was expanded. His daughter, Anna Meloto-Wilk noticed the blossoming demand for affordable, natural and ethically-acquired products. She, her husband (Dylan Wilk) and sister (Camille Meloto) joined hands to create natural and organic products that are 100% manufactured in the Philippines and using ingredients that are almost 100% sourced from the Philippines. Do read about their outstanding accomplishments and dreams here. I purchased my Human Nature Overnight Elixir from Modshop and after I read about Human Nature’s other natural products, I became very interested to know more. That’s how I came across their Malaysian distributor, Human Nature (used to be known as ‘Down to Earth’), which is brilliantly managed by Jeanette. With some skin conditions to address, mainly dark/age spots and dullness, I turned to Human Nature with specific questions. I was impressed with their ability to quickly provide me with the info that I needed. My concern was that though my skin is combination and the suitable HN product for combination skin is the ‘Balancing’ range, some of the issues that I am facing are related to ‘age’ and the suitable HN products for mature skin is the ‘Hydrating’ range. Fortunately, there was a simple questionnaire to help me arrive at a decision. And I also mulled over whether to get myself a Purifying Facial Scrub or Detoxifying Mask & Scrub. And because my 100% Natural Detoxifying Mask & Scrub is at the border of 6 months or more from its expiry date, they added in a complimentary All Natural Hand & Foot Salve – Eucalyptus (50ml) (normal price RM22.90). Yeay! And another awesome fact – postage within Malaysia is free when you purchase at least 3 items, irrespective of total price. And there are other interesting perks for us to enjoy when we ‘Like’ them on FB. If you’re in Malaysia and would like to expand your natural skin care product options, I highly recommend visiting Human Nature for a fabulous learning and shopping experience. p/s : Check out Human Nature‘s fantastic Mother’s Day specials and discount on-going this week till tomorrow for their registered users. The discount code is ‘MUMMY2015’, a 20% discount for purchases of over RM100-00. Saya pun guna HN Overnight Elixir ni. Kulit rasa best je…. Hi Emma, kan….HN OE ni blh buat kulit terasa lembut & licin.